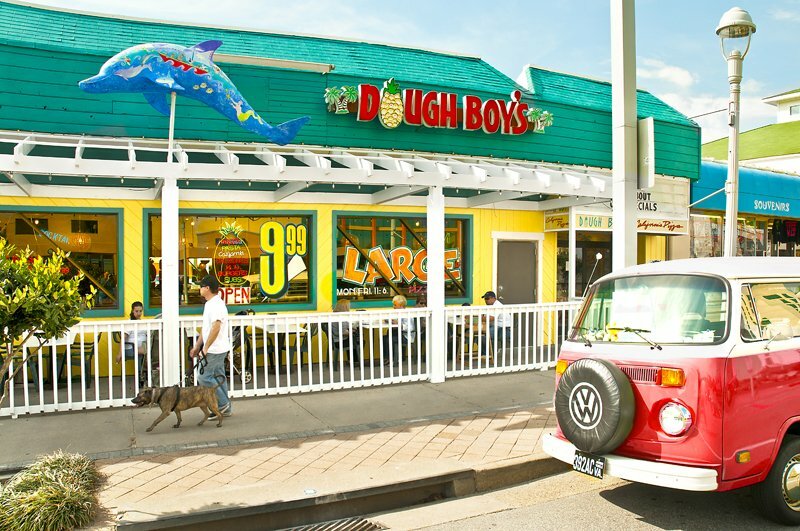 Dough Boy's California Pizza vividly depicts the surf culture of Virginia Beach, the very foundation of the resort city. You can see it in the themes of all three of their locations at the oceanfront. Each location takes you back to the heart of surfing, and the atmosphere is like an island in Hawaii with the staff greeting you with "ALOHA, Welcome to Dough Boy's!" It is obvious why people always leave Dough Boy's with a one-of-a-kind memory, complete with a free gift lei and the signature Dough Boy's frisbee for the kids. 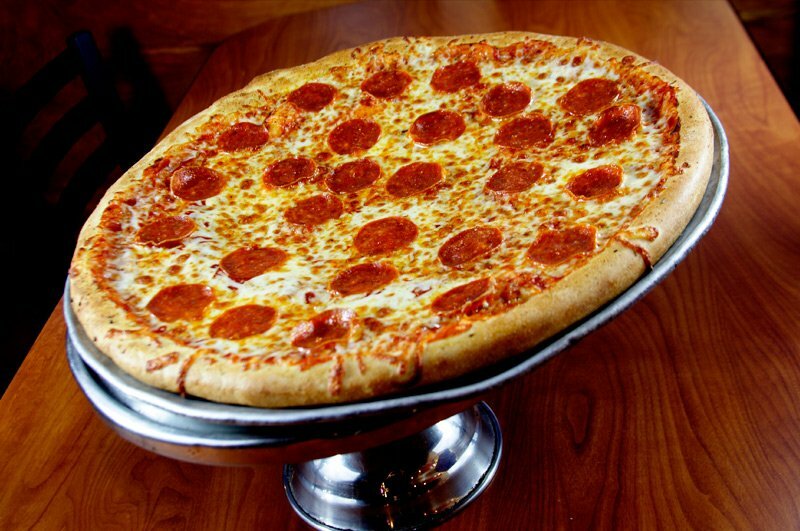 George Kotarides, owner and founder of Dough Boy's California Pizza, wanted to make sure his establishments honored the people of Virginia Beach with their relaxed and unpretentious vibe. 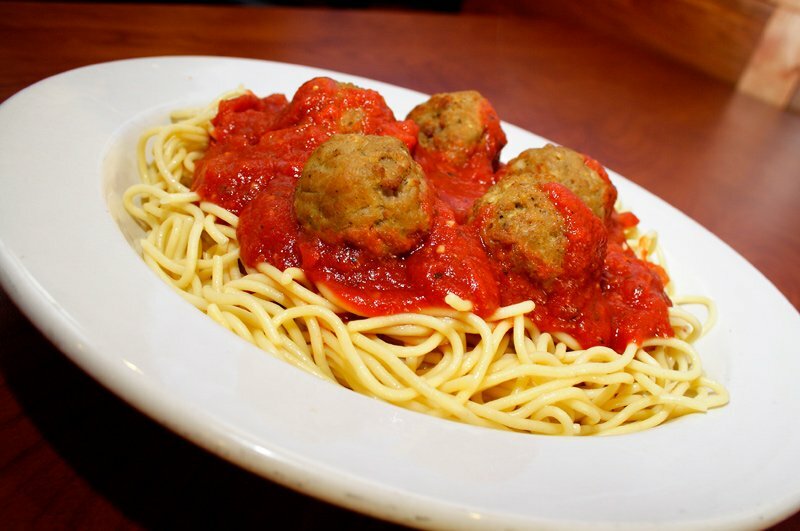 Add this friendly vibe with the Tropical style setting, which is always bright, positive and fun make it a "no-brainer" as to why Dough Boy's is a favorite destination for families year after year. Dough Boy's California Pizza is the perfect sea-side restaurant to put yourself in the shoes of a surfer in an atmosphere that always get's everyone excited about coming back! Dough Boy's VB is Always on an Endless Summer Vacation...Come on by one of their 3 beach locations today!